The chronic condition associated with the way the body metabolizes glucose (sugar) is called diabetes. When the disease surfaces in adults or involves non-insulin dependency, this form of the condition is known as type 2 diabetes. Although type 2 diabetes is often preventable, an increasing amount of people is developing diabetes symptom and signs, as a result of a growing obesity problem throughout the United States. Type 2 diabetes is resistant to the effects of insulin, which plays an important role in the regulation of sugar absorption within the body. Others produce some insulin, but not enough to sustain a desirable glucose level. When left untreated, the outcome of type 2 diabetes can threaten your life. That is why it is vital to know what a diabetes symptom is and how to effectively manage or prevent the condition. While some people are able to control their type 2 diabetes with a balanced diet and routine exercise, others require medication or insulin therapy to reach acceptable levels of blood sugar. With type 2 diabetes, there are both short-term and long-term complications that influence the overall health of a diabetic. Some people will ignore an early diabetes symptom, especially when they feel fine for most of the time. Silently, the condition attacks major organs, such as the heart, nerves, eyes, and kidneys. Short-term complications associated with type 2 diabetes include hyperglycemia (high blood sugar), increased ketones in urine, hypoglycemia (low blood sugar), and dizziness. When ignored, a patient may suffer seizures or lose consciousness and enter into a coma. Long-term type 2 diabetes complications sometimes causes disability and in the worst cases – death. A few common examples include heart and blood vessel disease, neuropathy (nerve damage), nephropathy (kidney damage), eye damage (blindness), foot damage, poor blood flow, skin and mouth concerns (bacterial infections), osteoporosis (low bone density), and Alzheimer’s disease. 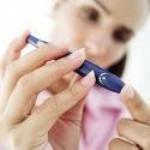 What is a Common Diabetes Symptom? Increase in Thirst: As excessive amounts of sugar accumulate in the bloodstream, fluid is pulled from the tissues, often leaving a patient thirsty. Frequent Urination: As a type 2 diabetic becomes increasingly thirsty, they may drink more than usual, which causes them to urinate more frequently. Increased Appetite: When type 2 diabetes causes a deficit in insulin (which is responsible for moving sugar into the cell), the organs and muscles in the body lose energy. This process causes an intense hunger to surface, which may continue even after a meal is eaten. Weight Loss: Type 2 diabetics are known to lose weight, even if they have increased the amount of food they eat on a regular basis. This diabetes symptom is caused when energy sugar supplies are so low that muscle tissues and fat storage shrinks. Fatigue: When the cells lack a reasonable amount of sugar, an individual may become tired and cranky. Vision Problems: Type 2 diabetes may cause a blurring of the vision when blood sugar levels are too high and the fluid pulled from tissues affects the lenses of the eyes. Some victims are also unable to effectively focus as a result. 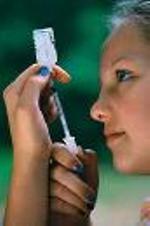 Infections and Slow-Healing Wounds: The ability to heal and combat infections is affected with type 2 diabetes. In women, they may suffer an increase in the number of bladder and vaginal infections. Keep in mind that just because you may exhibit one or more of these diabetes symptoms does not automatically mean you have diabetes. But if the symptoms persist, it may be worth the effort to check with your doctor.